Former first lady Barbara Bush listens to a patient's question during a visit to the Barbara Bush Children's Hospital at Maine Medical Center in Portland, Aug. 22, 2013. A family spokesman said Sunday that the former first lady Barbara Bush is in "failing health" and won't seek additional medical treatment. PORTLAND, Maine — Republican Maine Gov. Paul LePage says he and his wife are keeping former first lady Barbara Bush and the Bush family in their prayers. 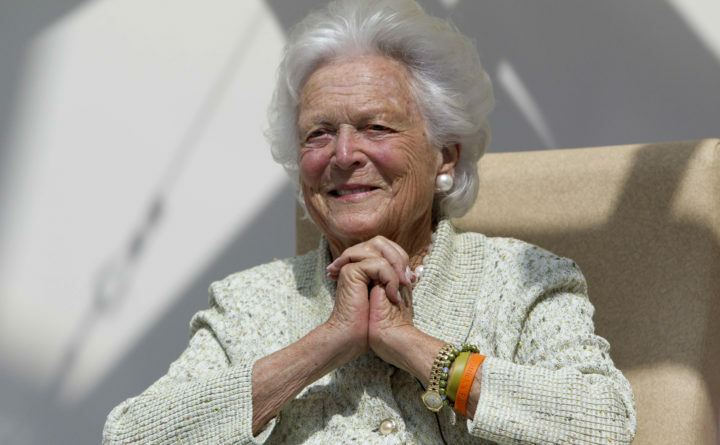 A family spokesman said Sunday that the 92-year-old Barbara Bush is in failing health and won’t be seeking additional medical treatment.